Whitaker Park is a small residential development that homebuilder Ashton Woods completed around 2015. This project came as one of several that this Atlanta, Georgia-based company has initiated to tap market demand for Sarasota homes for sale at the eastern outskirts of downtown, a thriving area for the city’s suburban bedroom communities. Whitaker Park was developed with 91 home sites on 18 acres off Richardson Road stretching south of Fruitville Road and east of Cattleman Road and Interstate 75. Hammock Park and Palmer Park, communities that Ashton Woods has also successfully built-out, are respectively located a short distance west and south of Whitaker Park. The lots of Whitaker Park homes for sale are platted around a single street loop, Molly Park Circle, with choice lots backed up to the community’s centerpiece lagoon. Architecture inspired from the Mediterranean revival style dominates the design of builds by Ashton Woods at Whitaker Park. The Georgian builder brought choices on one- or two-story designs of Whitaker Park homes for sale. One of the most popular amongst buyers is Ashton Woods’ single-story design, Gaspar, with a floor area of more than 2,000 square feet and starting price in the $300s. 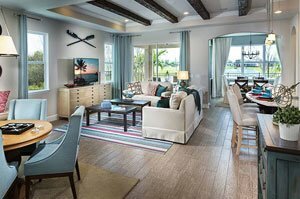 Designed to host gatherings of family and friends, this residence features a great room, café, flex room, and an island kitchen seamlessly flowing into the family room. This design provides three bedrooms and two baths, with its master suite tucked in the rear corner of the home’s layout for the ultimate in privacy. The price quotes of two-story Whitaker Park homes for sale range from the $400s up to the $500s. The larger of these choices have floor plans of nearly 3,500 square feet, featuring four bedrooms, three baths and a half-bath. Many of these properties have their own private pools. Having been built out just around 2015, Whitaker Park has many of its homes for sale still with warranties. Ashton Woods-built homes are covered by warranty of up to 10 years transferable with the sale of the residence. Ashton Woods, touted as “America’s Most Trusted Builder,” likewise takes pride in building energy-efficient homes that enable their owners to cut on utility costs. These builds’ energy efficiency features, moreover, provides quieter home interiors, better temperature control, and fresh air ventilation, all combining for greater comfort and healthier living for the residents. 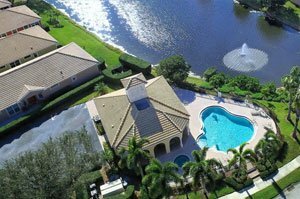 As important, Whitaker Park is located just next to the road corridors leading to all of the life and leisure activities that have made Sarasota homes for sale amongst the leading choices in the Southwest Florida real estate market. 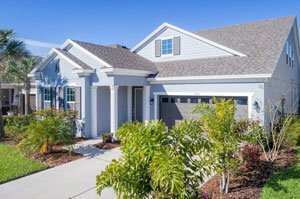 The Interstate 75 interchange a short distance east of this community is a gateway to many points of interest including those in and around Lakewood Ranch to the north and similar lifestyle options to the south in Venice and North Port. Upscale shopping and cultural shows could as easily be accessed at the Sarasota downtown and St. Armands via the westward stretch of the Fruitville Road. A short drive on the same corridor also links to roads leading to the Gulf Coast beaches for a full load of perks for living at Whitaker Park. Below are the current real estate listings available at Whitaker Park.